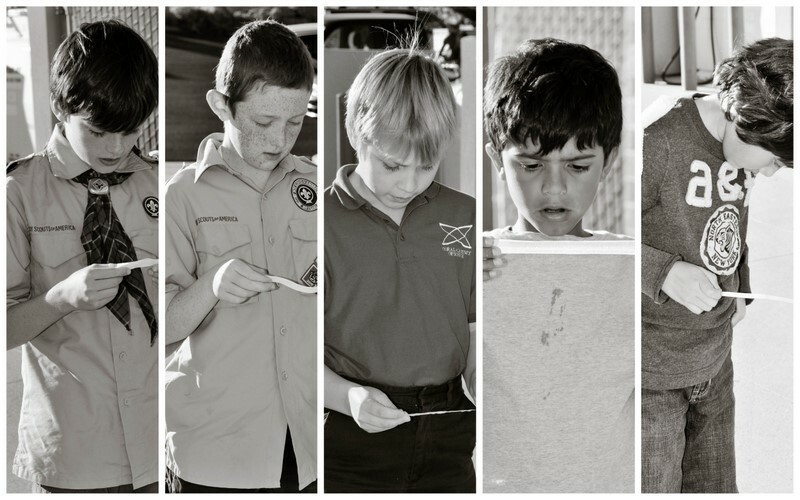 Pack 512 Troop 15 today decided to retire an old flag. We usually hold out meetings at the fire station in Reno and the boys got to learn a little about fire safety rules as well. As always my world is a busy and crazy one. Might I add I would not like it to be any different. This week my friend Kim is her from South Africa visiting me. She has been in my life for 9 years and most of that time we have been oceans apart. She has seen me through one of the hardest moments in my life and I was so happy to see her again after two years. We have been doing touristy things like going to San Francisco and driving around Lake Tahoe. 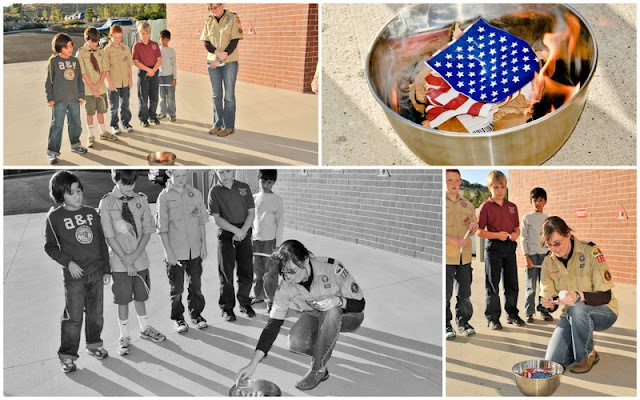 We made it back to Reno in time to catch the flag retiring ceremony with the cub scouts. When a flag becomes worn or tattered, it is to be replaced with a new flag and the one one is to be reitred in a proper way. This required theflags to be burned in a ceremonial way with the highest respect. 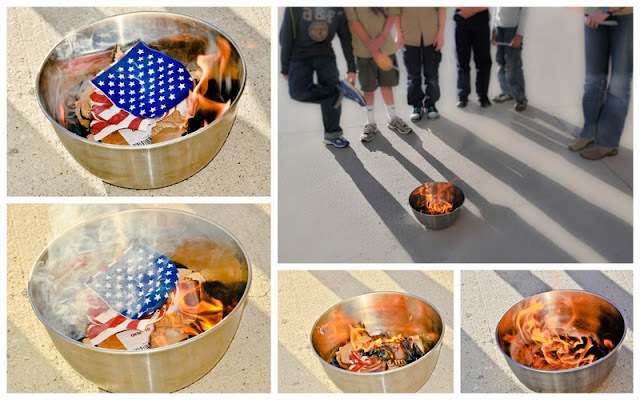 According to the Boy Scouts of America publication 'Your Flag' 'When our national flag is worn beyond repair, cut it into small pieces that will burn easily and completely on a modest, but blazing fire. This should be done in a simple manner with dignity and respect. Be sure the flag is reduced to ashes unrecognizable as a former flag. 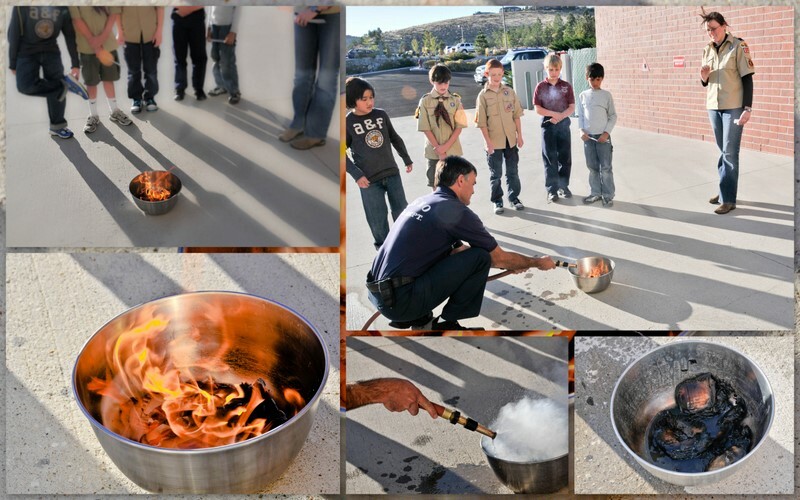 There are many many ways to have a flag burning ceremony. My troop did a informal version but the boys learned about the rules about the flag and how it should be retired. Each boy took a turn to read a little about the flag before we lit the fire in a bowl. The boys did a great job and I as a grown up learnt a lot too. 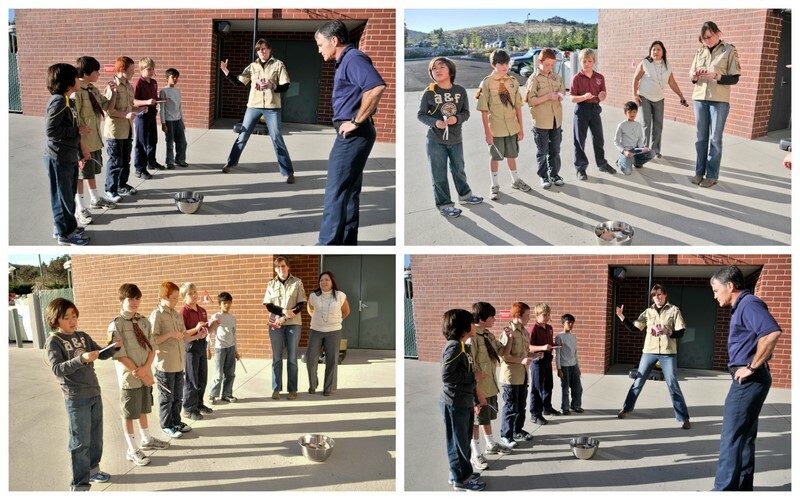 If you have a boy I hope you will consider joining the cub scouts. It is a great amazing program. Here is what our ceremony looked like. Thank you for stopping by. I am more than cloth shaped into a design. I have led your sons in to battle from Valley Forge to the blistering desert of the Arabian Peninsula. I walked in silence with each of your honored dead to their final resting place beneath the silent white crosses, row upon row. "Old Glory" is my nickname; proudly I wave on high. Honor me. respect me, defend me with your lives and fortunes. Never let my enemies tear me down from my lofty position lest I never return. 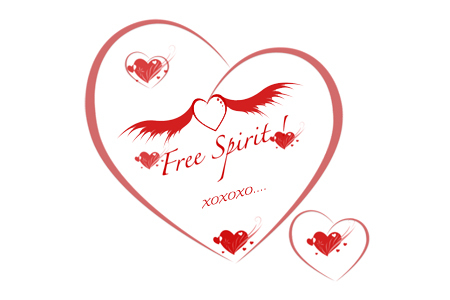 Keep alight the fires of patriotism, strive earnestly for the spirit of democracy. Worship Eternal God and keep his commandments, and I shall remain the bulwark of peace of freedom for all people. FOR I AM YOUR FLAG! My red stripes symbolize the blood spilled in defense of the glorious nation. Let us retire the Red Stripes — Salute! Let us retire the White Stripes — Salute. My blue field is indicative of God's heaven under which we fly. My stars, clustered together, unify 50 States as one for God and Country. Let us retire the Blue Field with Stars. — Salute.